First, of its kind, Gionee S10, with cumulative 4 Nos of the camera has been launched in China. The biggest USP of the device is the camera set company offers. The smartphone features dual cameras at both the front and back. With this, the Chinese smartphone manufacturer has set a benchmark by being the first ever handset with a dual camera set up on both sides. In the event, Gionee announced the three variant of S10 which is the successor of the previously announced Gionee S9. Three variant of S10 which has been announced is S10, S10B, and S10C. All the three variants differ in almost all aspects. As per the recent reports, S10 and S10C will be available in China starting June 9. While the third variant, S10B will be available from today itself. The key highlight of the Gionee S10 is its optics set up. The smartphone comes with dual cameras at the rear and front panel. This out-of-the-box feature makes it the first ever device to sport such a camera set up. On the back, the Gionee S10 will feature a combination of 16-megapixel and an 8-megapixel sensor camera set up, while on the front, the device comes with a 20-megapixel and 8-megapixel sensor camera set up. The rear camera also comes packed with 6P lens and f/1.8 aperture. In terms of other specifications, Gionee S10 sports a 5.5-inch full-HD (1080x1920 pixels) In-Cell display and runs on Amigo 4.0 operating system. The newly launched smartphone derives its' power from a MediaTek Helio P25 processor which is further coupled with 6GB of RAM and 64GB of internal storage. 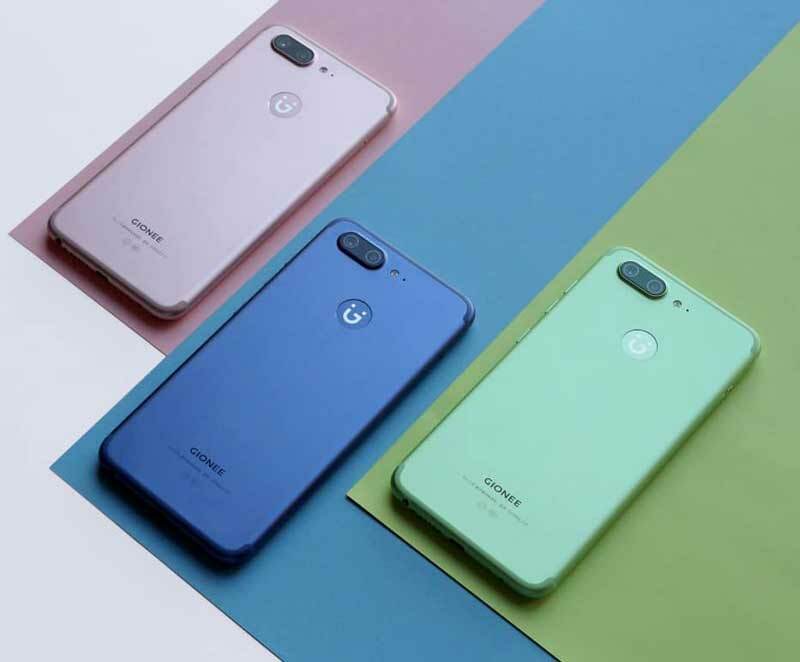 Further, Gionee S10 is backed by a 3450mAh battery, which is said to deliver a much better battery life when compared to last year's Gionee S9. As per the pricing details, Gionee S10 will be available at a price tag of CNY 2,599, which is rough around Rs 24,400. The second variant of the phone, dubbed Gionee S10B comes with dual cameras at the back, which includes 13-megapixel and 5-megapixel sensors, while on the front, the smartphone packs a 16-megapixel sensor. In terms of specifications, Gionee S10 sports a 5.5-inch full-HD display and runs on Amigo 4.0 operating system like the Gionee S10. Further, the smartphone is powered by a MediaTek Helio P10 processor which comes coupled with 4GB of RAM and 64GB of internal storage memory. Gionee S10 juices its power from a massive 3700mAh battery. As per the pricing, the Gionee S10B is priced at CNY 2,199, which is roughly estimated around Rs. 20,700. As mentioned earlier, the new Gionee S10B is available for buying starting today. Coming to the third variant - Gionee S10C comes with a single camera module. It includes a 16-megapixel sensor at the rear, while fits a 13-megapixel sensor at the front. The smartphone further runs on Amigo 4.0 operating system, and sport a 5.2-inch HD display. Further, the Gionee S10C is powered by a Snapdragon 427 processor which is coupled with 4GB of RAM and 32GB of internal storage memory and a 3100mAh battery. As per the pricing details, the Gionee S10C is the cheapest of all the three variants and is priced at CNY 1,599, roughly Rs. 15,000.